The first iPhone was released on June 29, 2007. 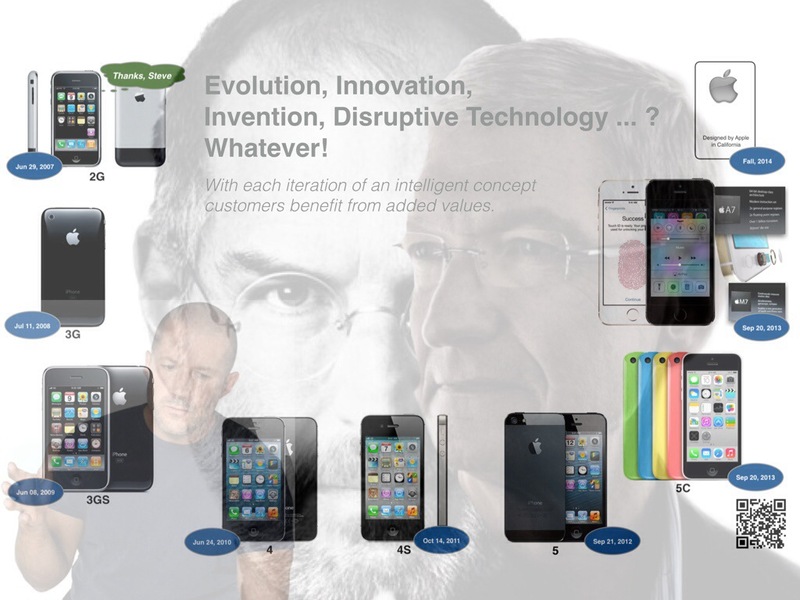 With each iteration of an intelligent concept customers benefit from added values. Thanks to Steve Jobs. His vision of ‘The Internet in your pocket’ came true in 2007 after years of hard work of all the involved co-workers doing their job with passion. Sensors are vital organs of a smartphone. Incredible micromachines provide information for many features like changing the display from portrait to landscape mode according to the devices’s orientation. Without them it loses its smartness and metamorphoses into a machine converting sound – typically and most efficiently the human voice – into electronic signals suitable for transmission over long distances. Just an innovation of the well-known Smoke Signal Technique. That’s it. 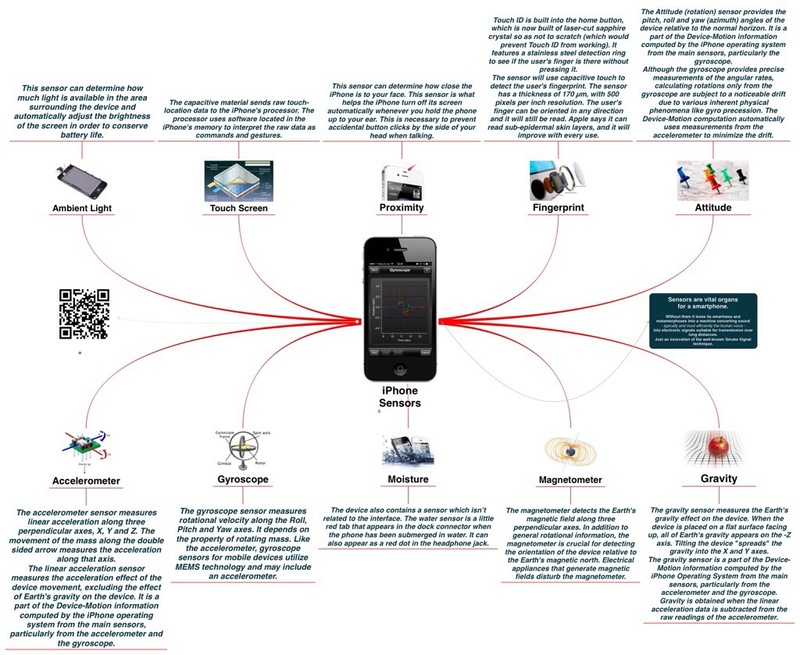 This mind map shows all sensors implemented in the new iPhone 5S. The alternative file formats have been created with iThoughts (.ITMZ file format). Compatibility to other tools is limited. The iPhone you’ve been waiting for. The first phone to beat the iPhone. Twice as fast, for half the price. The most advanced mobile OS. Now even more advanced. More to love, less to pay. If you don’t have an iPhone, well, you don’t have an iPhone.